Puddin just got the all-clear from her vet after loosing a major tooth. Several months ago, we discovered a slab fracture in her fourth premolar - a large tooth connected by three roots. To protect against infection, the vet pulled it out. I don't know the exact cause of her slab fracture. I suspect was from chewing on antlers. I had heard about the dangers. But I observed Puddin closely and I never saw her bite down hard onto the antlers. And since she had antlers for a while before I read the warnings, I though we were fine. The problem with giving our dogs hard objects to chew - like antlers and bones - is that we won't know there is a problem until there is a problem. Then it's too late to take precautions. Puddin could have started out with small fractures in her teeth. Something that we wouldn't have seen on routine examinations. Speaking of bones, most folks are aware of the dangers of feeding cooked bones. But many pet parents are comfortable giving their pets raw bones. Some suggest that softer bones (like those of fowl) are much safer than the hard weight bearing bones of cows. These bones can damage teeth the same way that antlers can. After our experience, antlers, hard bones, and hard chew toys (like those pictured above) are banned from our house. Click here to see X rays of a small dog who swallowed an antler than was as long as his throat. - Observe dogs carefully. Don't leave them alone with large chews. - If you feed kibble (which might have added bone meal and/or added calcium), consider the bone and calcium content of chews. You dog might be getting too much calcium. Additionally, too much bone can cause constipation, even impaction. - Consider the fat content of bones - especially the marrow. It could be problematic for dogs with gastric issues. - When providing antlers, discuss with your vet the safest type of antler (deer vs moose vs elk, etc..). and discuss the safest cut of antlers. Antlers that are pointy might be a hazard. 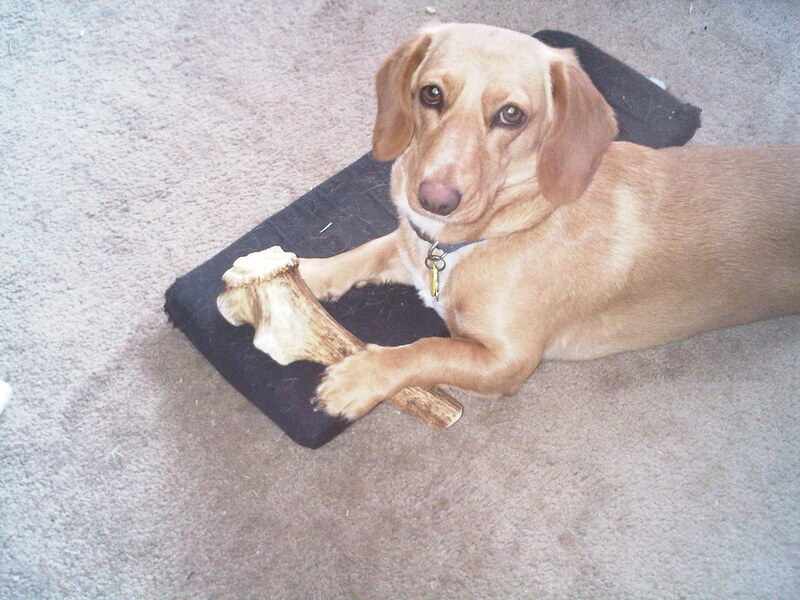 -- Con - once the marrow is gone, it might be easier for the dog to break off pieces that could be a choking hazard. - Check your dog's teeth often and have the vet check them as well. - Don't give anything to your dog that you can't take away. If your pup has any resource guarding issues, don't give him/her bones or other hard chews. At some point the chew will be whittled down to something small enough to be a choking hazard, or your pup might break off a piece that could be a choking hazard. If the dog resource guards, you might have trouble taking that piece away from him/her. 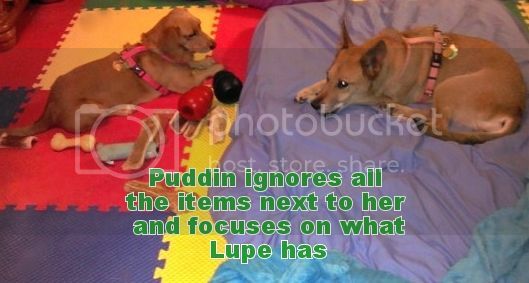 - Be aware of possible resource guarding issues in a multi pet household. Some pet parents might consider keeping pets separate while they are enjoying any long term chews. - And of course discuss any chews or another foods with your vet before trying. Tell us about your experiences with chew in the comments section below. What do you give a puppy to chew on. I was giving him bones, but he's not very interested, and after reading this blog, they are out. I also gave him duck's feet, which he liked for a little big, but not very long. Are chicken necks bad? Dear Anonymous, thanks for your question.